If You're Allergic to Your Pet Do You Need to Get Rid of It? I'm allergic to my pet. Does this mean I have to get rid of my cat or dog? If I want to keep my pet, is there anything I can do to reduce my symptoms? An Allergy to Your Pet – What Does This Mean? If you learn that you are allergic to your pet you're likely feeling anxious and disappointed. Will you have to get rid of your pet? Sometimes people do have to give up their pets due to allergies, but you may be relieved to hear that there are many effective methods of controlling allergy symptoms without having to part ways with your best friend. Many people are able to keep pets in their homes that they are allergic to, though it can take some effort to make things work. Avoidance techniques allow many people to keep their pets, even inside of the home. The particular allergy symptoms you have may determine whether this is truly realistic or not. If you have only a runny nose or itchy eyes, this may not be a big deal, but it could be a large problem for someone who has severe asthma related to pet dander. For this reason, as well as many more, there isn't a broad yes or no answer to keeping a pet if you have allergies. Rather, it is always an individualized decision based on the severity of allergy symptoms, and how well those symptoms can be controlled with avoidance, medications, and/or allergy shots. Ensure the pet is neutered (particularly for dogs and cats). Neutering male dogs and cats reduces their allergen production. Bath the pet at least once or twice a week. A word of caution is in order with this recommendation. 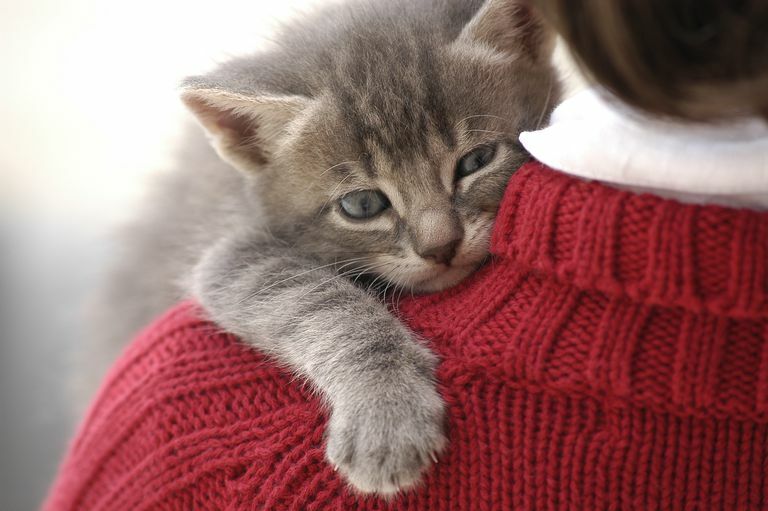 Some pets, especially cats, carry a strong dislike to baths, and caution is needed to avoid bites and scratches. Wipe down the pet using a wet cloth or baby wipes daily. Remove the pet from the bedroom; close the bedroom door and air vents leading to the bedroom. Keep the pet outside, in the garage, or in a part of the home with an uncarpeted floor. This can depend on the climate in your area, and it's important to consider whether this is fair to your pet as well. Vacuum frequently with a HEPA-equipped vacuum cleaner. Purchase a HEPA room air cleaner for use in the bedroom and/or other parts of the home (it is best to keep the HEPA filter off of the floor so as to not stir up more dust). Steam clean all carpets and upholstered furniture. Launder or dry clean all bedding and curtains. Wipe down all hard surfaces and furniture. Replace any air conditioner and heater vent filters. While some very allergic individuals, particularly those with asthma, won’t be able to keep their pet regardless of what they do, many people find that a few of these simple steps allow them to keep their best friend around. Just make sure you’re stocked up on allergy medication and Kleenex. Take some time to learn more about cat allergy and dog allergy. Apfelbacher, C., Frew, E., Xiang, A., Apfel, A., and H. Smith. Assessment of Pet Exposure by a Self-Report in Epidemiological Studies of Allergy and Asthma: A Systematic Review. The Journal of Asthma. 2016. 53(4):363-73. Lombardi, C., Savi, E., Ridolo, E., Passalacqua, G., and G. Canonica. Is Allergic Sensitization Relevant in Severe Asthma? Which Allergens May Be Culprit?. World Allergy Organization Journal. 2017. 10(1):2.